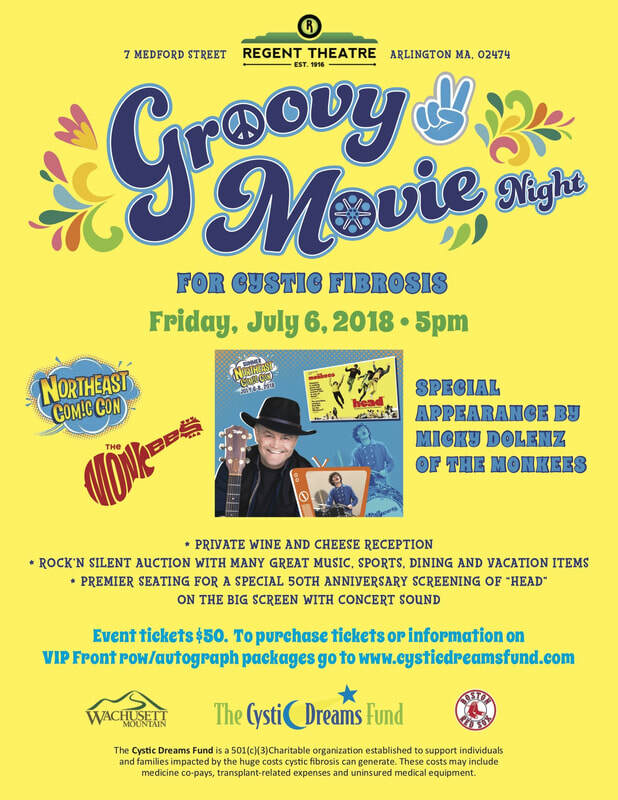 We'll see you at Groovy Movie Night! ​All proceeds to benefit the mission of The Cystic Dreams Fund to assist cystic fibrosis patients and families struggling with the costs associated with cystic fibrosis. Contact info@cysticdreamsfund.com for more information.